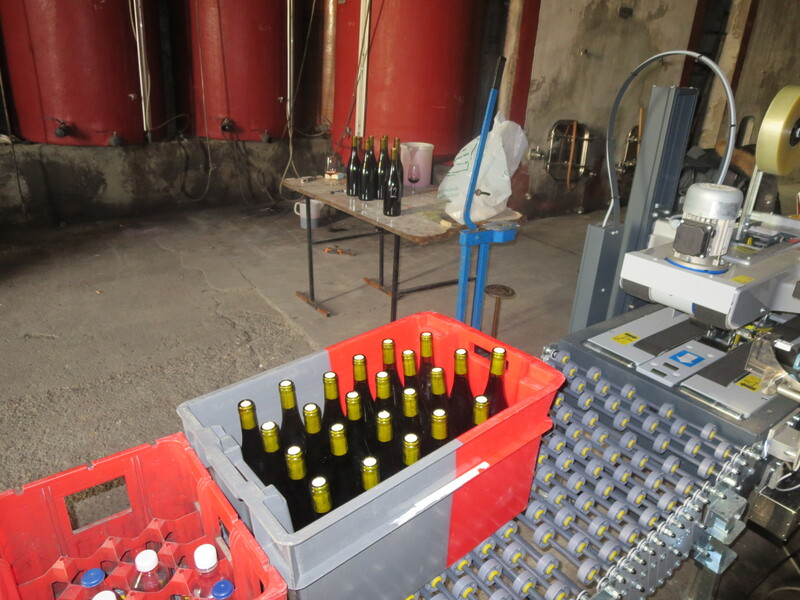 The assemblage for the 2014 wines is well under way, the wines are settling in tank for some of the well known cuvées such as Classe and Vin Des Amis. (Above are glasses of richly coloured Vin Des Amis). Both are delicious already and in the few days since I first tasted them they have shown development as they marry together. The fruit and freshness which characterise Mas Coutelou wines are evident and there is a marked concentration which shows that the wines will mature well. Jeff has published his vintage report for 2014. Winter, spring and early summer were exceptionally dry (less than 150mm or 6 inches of rain in the 9 months to the end of June) and at that moment Jeff was far from sure that he would be able to harvest any grapes. Some relief came from a summer which was not too hot and peppered by storms. However, the vines had to dig deep into their reserves of energy in order to produce grapes. Troubles continued with some storms towards the end of harvest time and then the Marin wind with their warmth and high pressure meant that through the autumn and into December the wines in tank were not able to truly rest. It was a difficult year in short, a reminder that nature rules the life of the vigneron. Indeed some local producers have seen their crops virtually wiped out by hail and mildew so the wines that Jeff has produced are to be even more cherished. Nevertheless there are some drawbacks. The harvest was smaller especially for Syrah, (down by 40%), Carignan and Mourvedre. 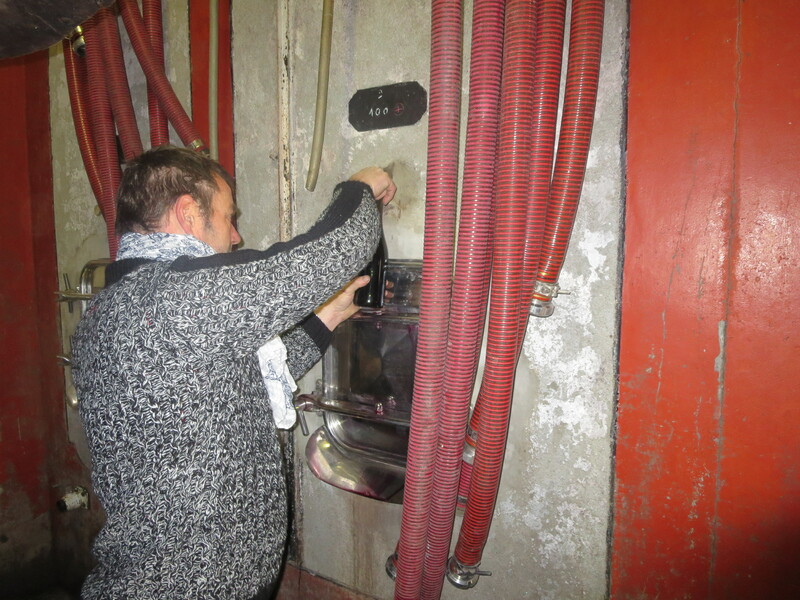 Syrah is a major part of many Coutelou wines so Jeff has had to improvise and make the most of what he has. The lack of Mourvedre may mean that one of his popular wines ‘Sauvé De La Citerne’ will not be made. 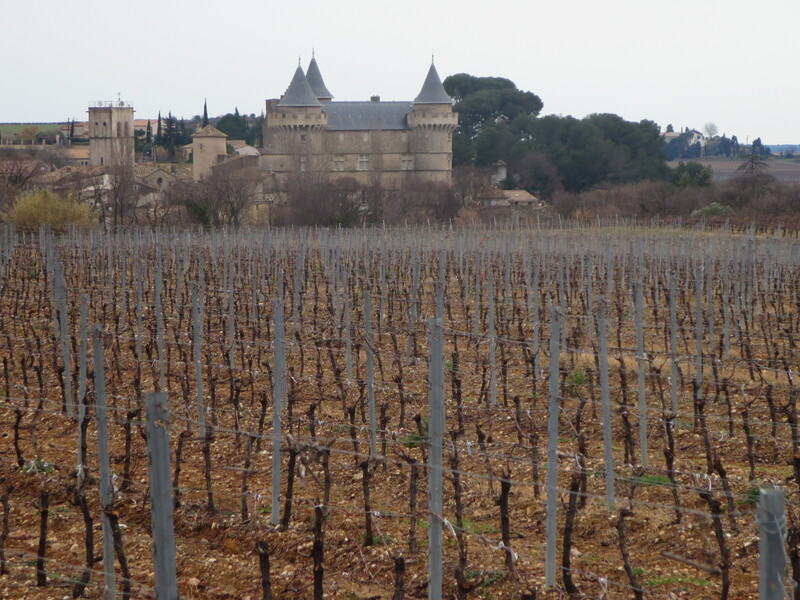 In addition the effort made by the vines means that they would benefit from a rest and yet this winter (thus far) has been so mild that they are starting to show signs of producing buds even in January (débourrement). Instead of resting they are starting to work hard already. The wines I tasted from tank are marked by concentration and minerality. The vines had to push deep into the soil for water in the arid early part of 2014 so they have drawn up minerals from the soil’s depths. The mineral flavours are evident when drinking. A difficult vintage has produced some highly promising wines but in smaller quantity, so guard what you already have and appreciate the quality of the new wines. PM, the rosé, is already gorgeous, full of fruit and perfume yet dry and absolutely delicious. At only 11% alcohol it is a wine to drink and enjoy. 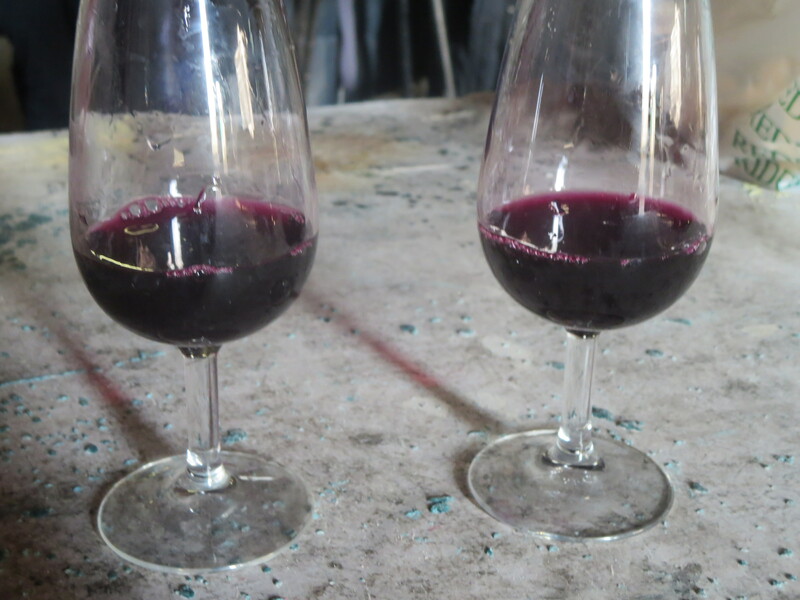 A new wine made from old Cinsault, Aramon, Oeillade and Muscate. Tasted from tank this was already sensational, a red wine with grapey, perfumed scents and deep, concentrated red fruits. Can’t wait to see how this develops. Jeff will be showing some of these new wines at a couple of tastings in the next 10 days, in Montpellier and the Loire. 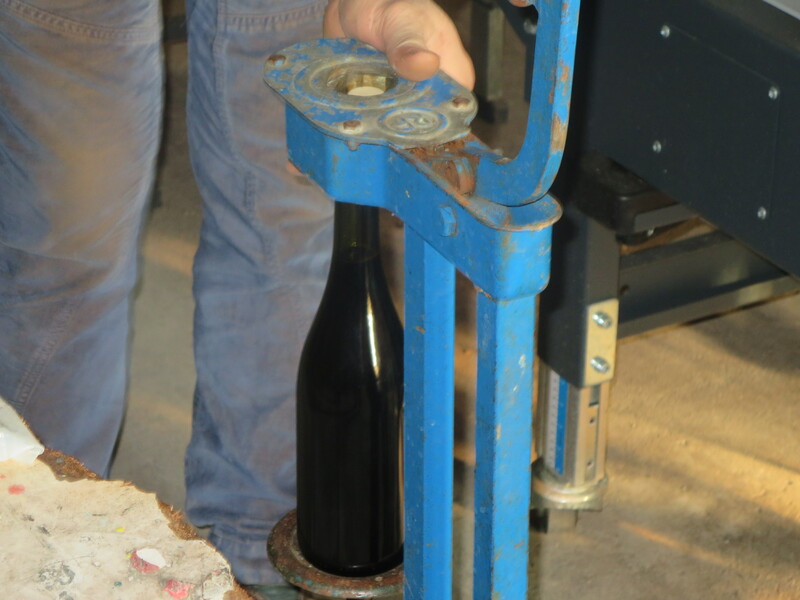 Today Jeff put the bottles together for those tastings, including some corking by hand. Nothing was easy about 2014!! Categories: Tasting, Vignerons, Vines, Wines | Tags: Aramon, Carignan, Cinsault, Classe, débourrement, Mourvedre, Muscate, Oeillade, PM, Syrah, Vin Des Amis | Permalink. Back in Margon after a few weeks back in the UK, it was good to see family and friends again over Christmas. 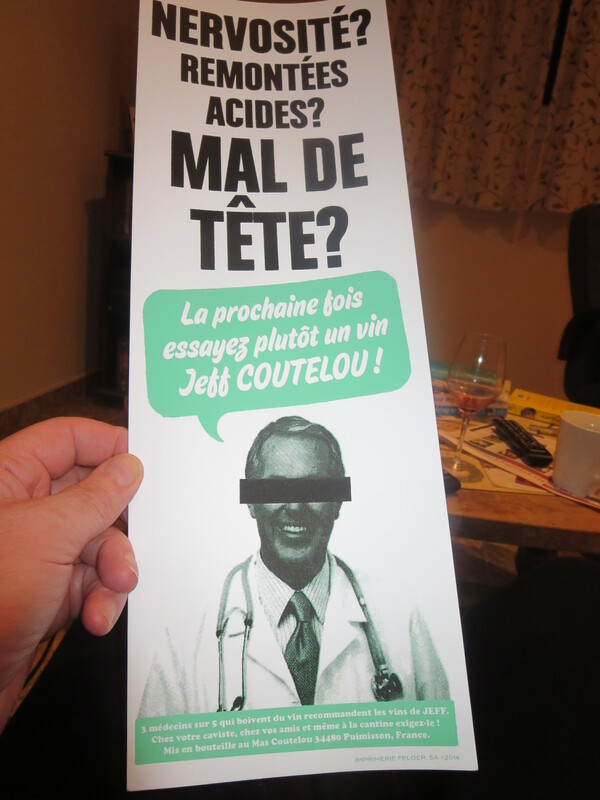 It was good to hear of many of them enjoying Mas Coutelou wines with their Christmas meals. 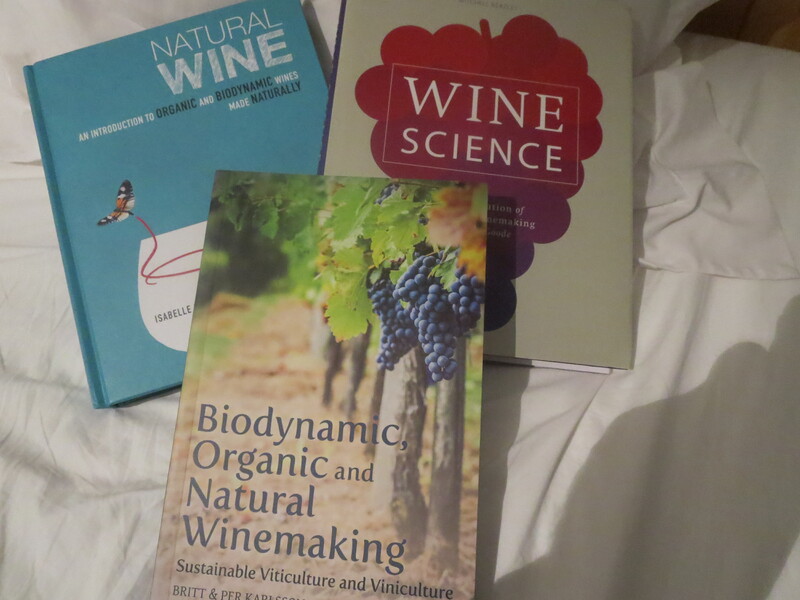 Santa was generous so I have new books to read. Hopefully I shall learn something to help brighten and enlighten this blog. Jeff assured me that last week the temperature in the Languedoc reached 20C and he was working in the vineyards in shirtsleeves. Sadly, no sign of that this week. 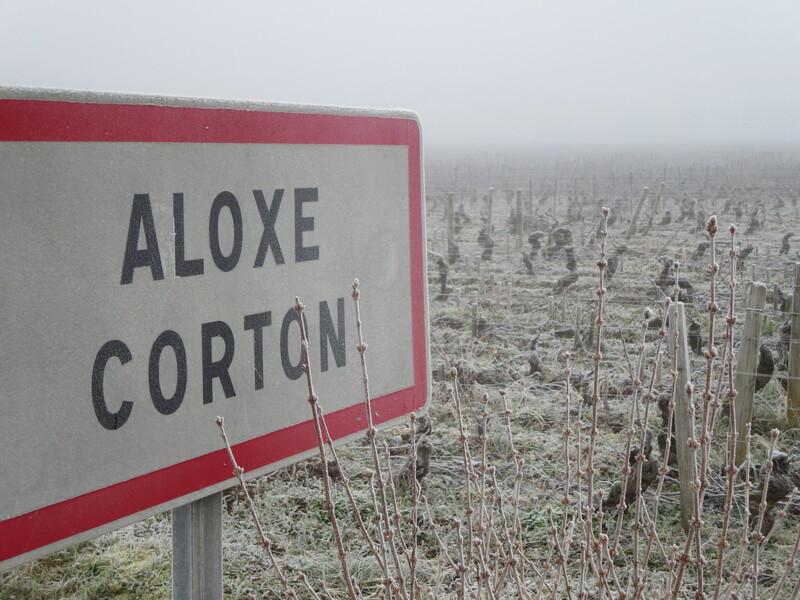 The vines are resting through the winter weather as you can see in these photos taken in Aloxe Corton on Sunday morning. Burgundy, of course, is much further north than Margon. As we went for a walk in the vines (as opposed to a march in the vines) the pruning work I described in December showed clearly. Below are examples of all 3 types of pruning I described then. Guyot trained vines. The long right branch attached to the wire will provide grapes in 2015. The cut branch will provide fruit in 2016. I came across these cordon trained vines which are clearly older and very sturdy. They will need further pruning! 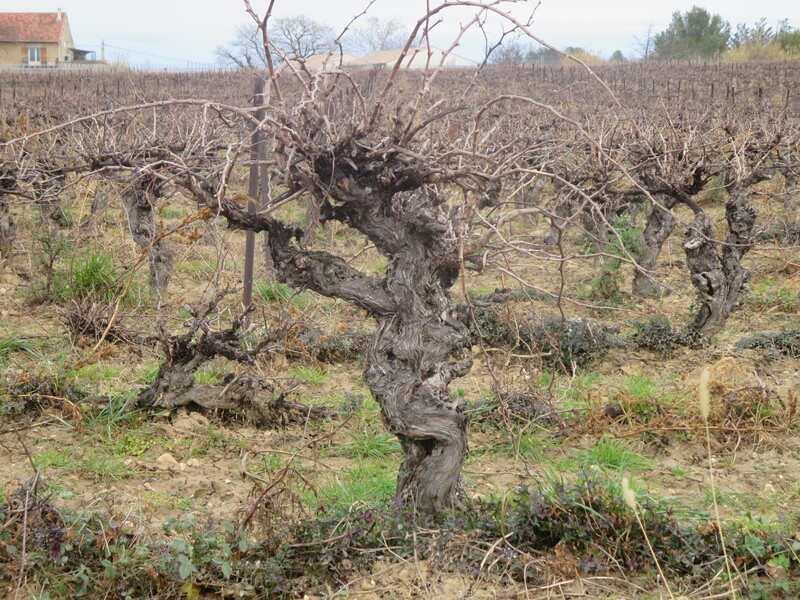 And finally we saw this really wizzened and elderly vine growing in classic Languedoc gobelet style. 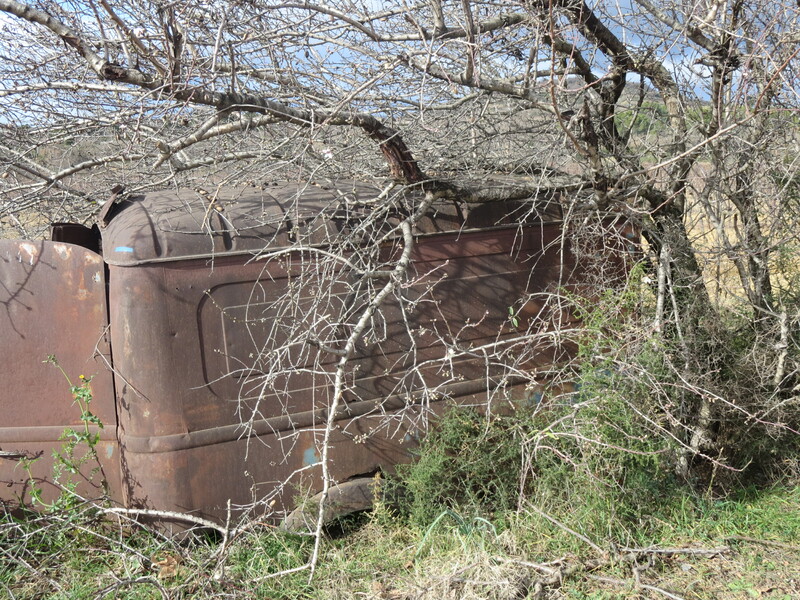 So the vines are resting but I know that work for the vigneron is continuing. More pruning, assembling the wines from last year’s harvest and more vineyard work which I shall report back upon later in the week. Categories: Vines, Wines | Tags: cordon de royat, gobelet, Guyot, Mas Coutelou, pruning | Permalink. Janus was the Roman god of the doorway, protecting the householders within by looking out on their behalf. January is the month named after him as the god was looking back to the old year and forward to the new year. 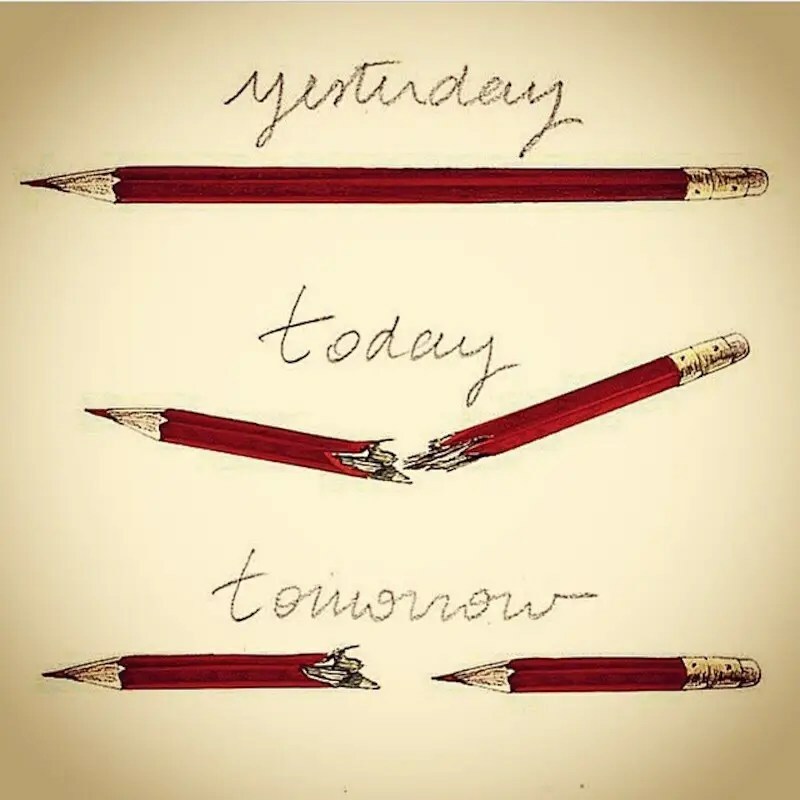 2015 has begun tragically in France and we could do with starting it over again. However, we live two lives the public and the private and life goes on for most of us as it ought to do. 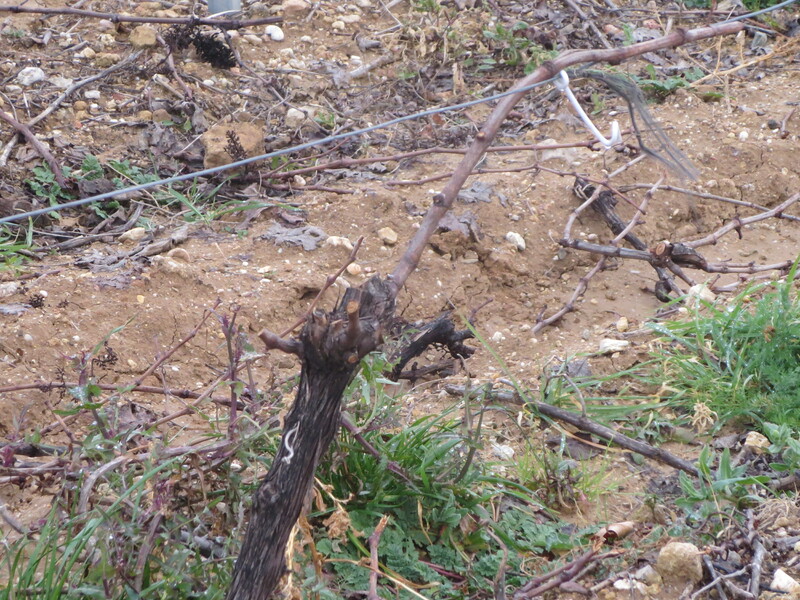 I posted in December about pruning in the vineyards and that is very much the principal activity of January too. Vines need to be cut back and the wood (sarments) removed. Some of this wood may be mulched and used for fertilising and enriching the soil. The rest may well be burned and this would certainly be the case if there had been any disease in the vines. 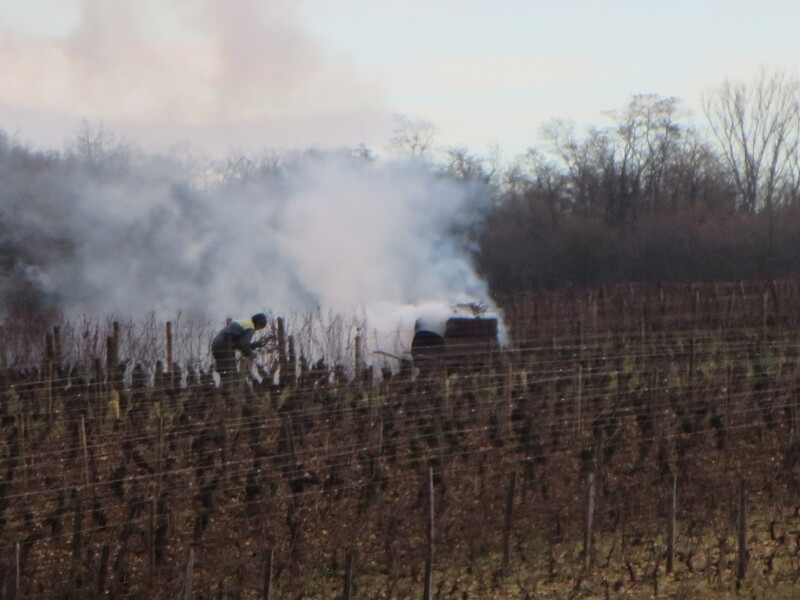 The photograph below shows vineyard workers burning sarments in Burgundy in December. As I said in December pruning is very repetitive, monotonous and back breaking work. 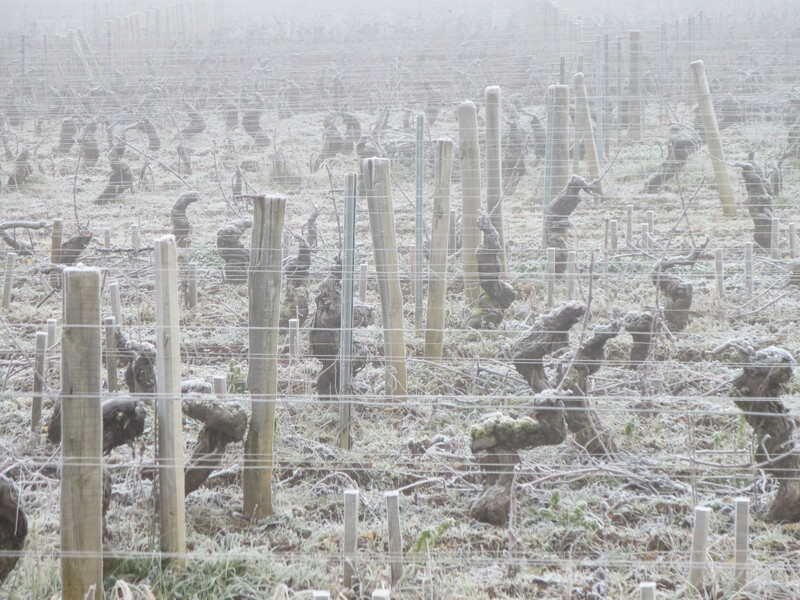 In January vignerons need to wrap up warmly to protect them from the cold. Well, that would normally be the case except at the present time in the Languedoc where Jeff tells me that today saw temperatures over 20C and that he is in shirtsleeves! Meanwhile, strange weather patterns apart, the vines remain sleeping. From the falling of the leaves in autumn (late autumn in 2014!) 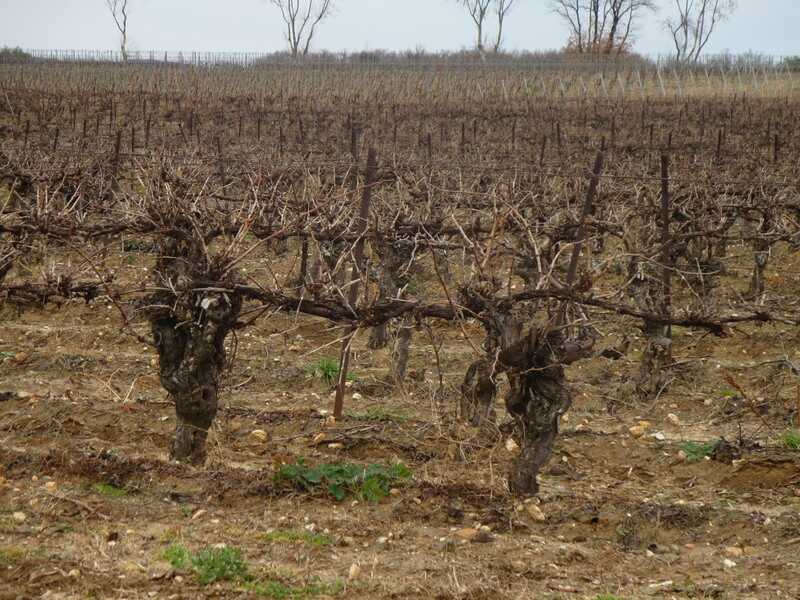 until the buds break in spring the vines are resting and can withstand temperatures down to about -15C. Pruning means the vines are better prepared to produce healthy grapes in the year ahead. 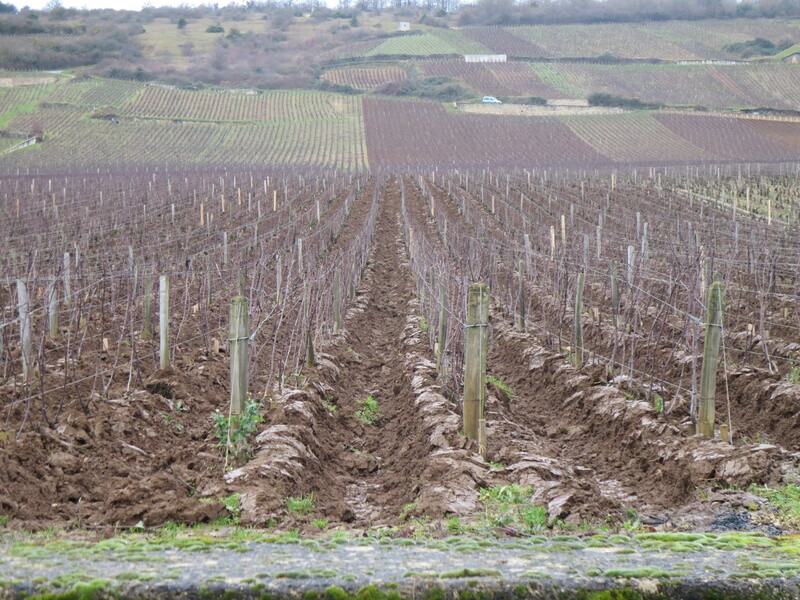 The photograph below shows how some vignerons (in this case in Burgundy) plough soil up next to the vine to help to protect them from frost, a process called cavaillonage. January 22nd marks the nominal midway point between the falling of the leaves and bud break. It is also the feast day of St. Vincent, patron saint of vine growers and winemakers. Many wine fairs take place around St. Vincent’s day and indeed, France’s biggest organic wine fair (Millésime Bio) will take place from January 26th to 28th in Montpellier, an event I shall be attending. I am looking forward to it immensely. Wine fairs and feasting around the midway point of winter are no doubt a great way for winemakers and vignerons to relax amidst the cold, cruel days of pruning. Legend has it that St. Vincent’s donkey showed the benefits of pruning. As the saint was talking to vineyard workers his donkey ate the new shoots from the vines. At first annoyed by this the workers noted later in the year that the vines nibbled by the donkey actually produced more and better grapes. Pruning worked! I am not sure that the story is much consolation to those with aching backs and freezing fingers but January is a month which prepares the way for better days ahead. Let us hope that is true for the vines and for all of us in these troubled times. Categories: Vignerons, Vines | Tags: Millésime Bio, pruning, St. Vincent, taille | Permalink.